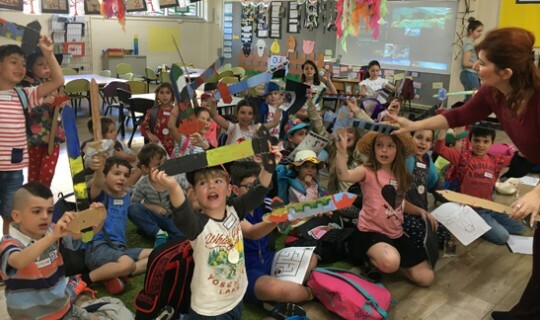 Children 4-11 years old, regardless of skill-level in the Greek Language, are welcome to participate in the Greek Community Language Schools Holiday Program from 3 July to 12 July 2018. The main program will run on two campuses (Alphington and Malvern), over two weeks, two days per week per campus, between the hours of 10am–2pm at a price of $35 per day. There is also a Pre/After Program Care feature between 8:30–10am and 2pm–3:30pm at an additional cost of $20 per day. (your child may attend before, after or both as long as the Pre/After checkbox is checked for that date). NOTE: We only accept children in the Pre/After Care that will also attend the main Holiday Program for that day. We would love to welcome you and your children to the Holiday Program of the Greek Community Language and Culture Schools!